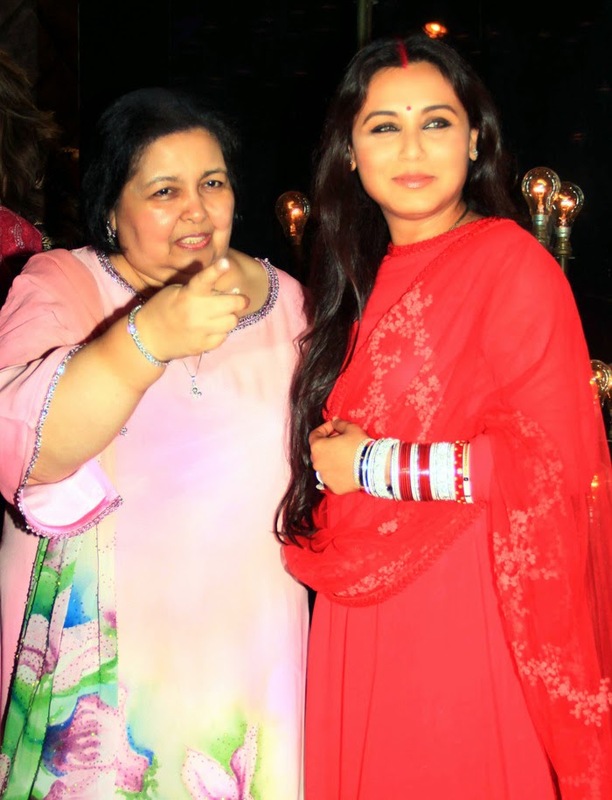 Rani Mukerji first outing after secret wedding! Our bride dazzles in red. 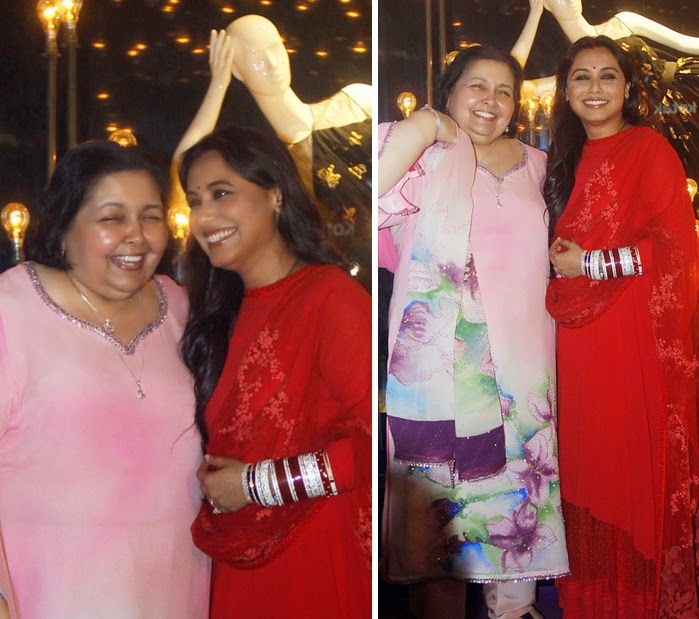 Rani Mukerji looked beautiful in a deep red creation by her favourite designer Sabyasachi with matching platform pumps, bindi and sindoor. 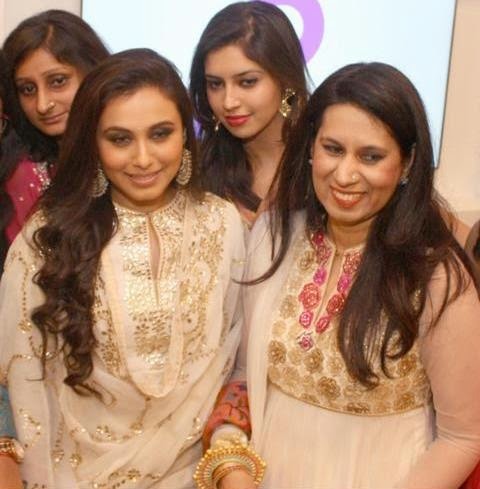 Beautiful Rani Mukherjee along with Pamela Chopra inaugurated YRF inspired Diva'ni's first flagship store in New Delhi's South Extension market at a star studded event. Both the ladies jointly conducted the lamp lighting ceremony for the store by releasing wishing lanterns ushering in prosperity and success. 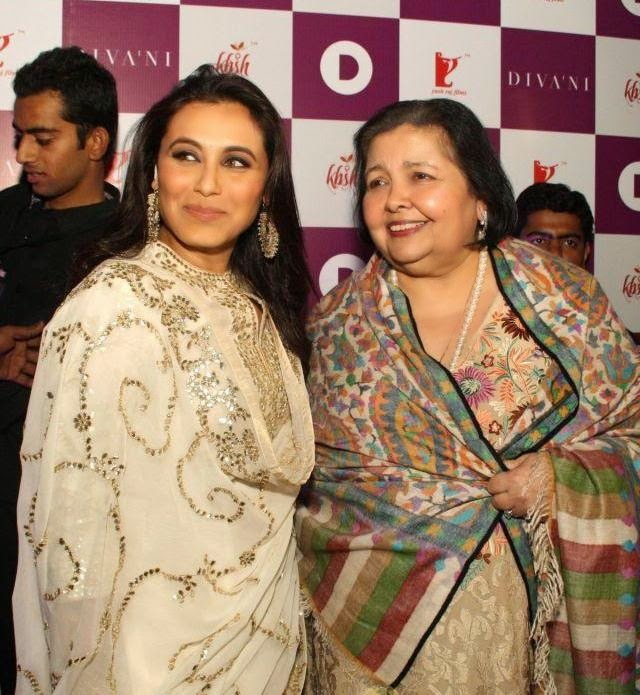 Remembering Yash ji on the occasion Rani who looked gorgeous in a beautiful white patialla salwar-kameez, said that she was dressed for Yash Chopra. The couture line was recently launched at an extravagant fashion show on Yash Chopra’s birthday with Shah Rukh Khan walking the ramp with nine eclectic Yash Raj divas adorning Diva’ni ensembles.